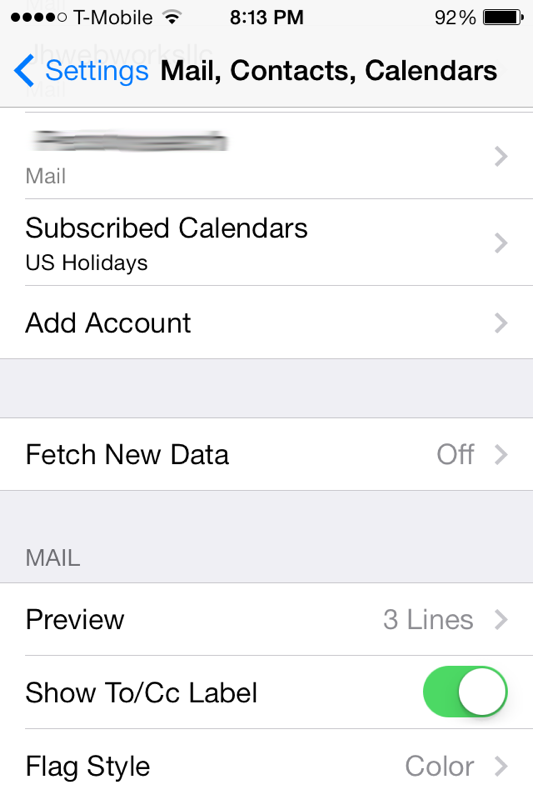 With the popularity of the iPhone, we get more people struggling to set up their email on an iPhone. 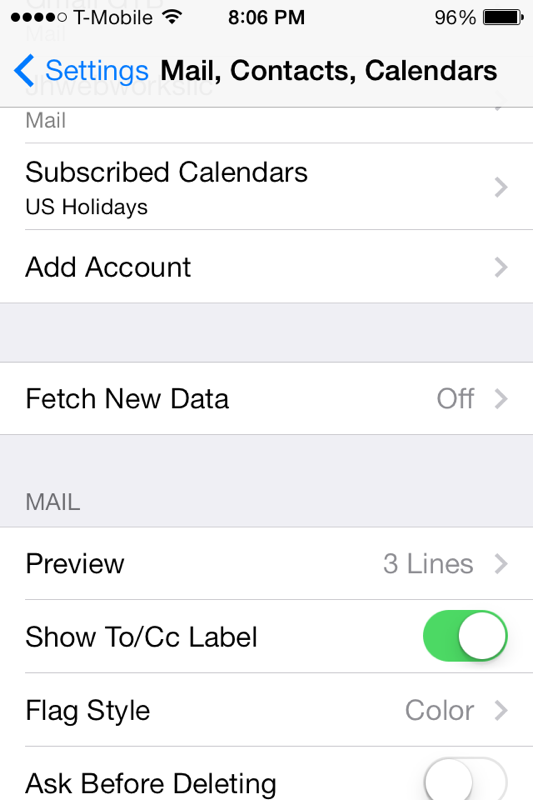 To help you through it, here is a simple guide to setting up an iPhone for a POP3 email account. Although the title says for cPanel, this guide is fine for just about any POP3 or IMAP account where you know the server and account details. 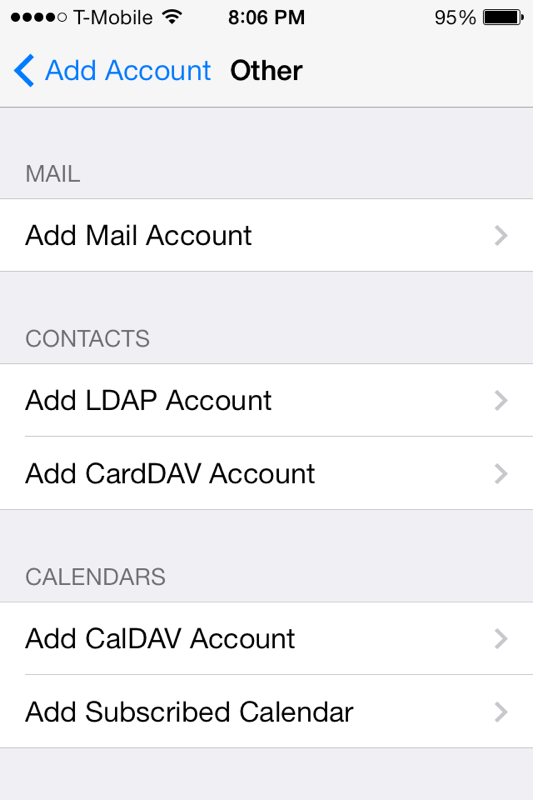 The screenshots were taken from an iPhone 4 runnng iOS 7.0.2. If you have an older or newer version, the screens should be similar enough to follow it. 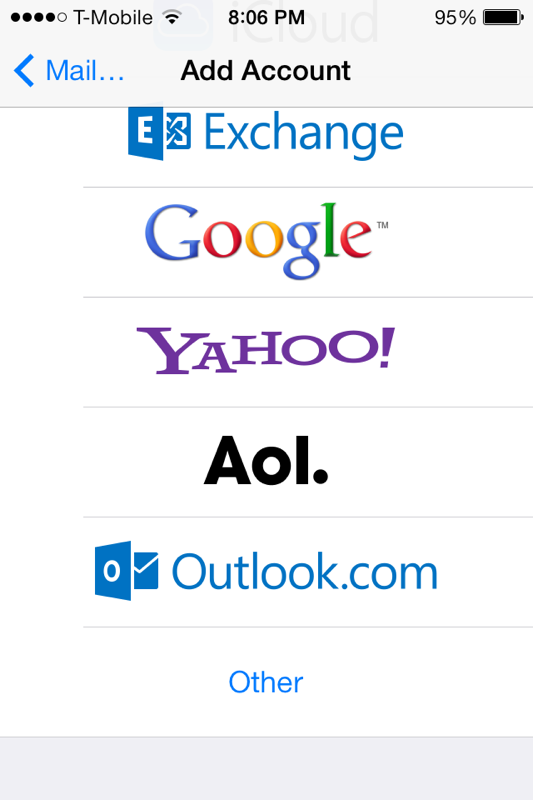 Name – This is your name that will identify your outgoing emails. 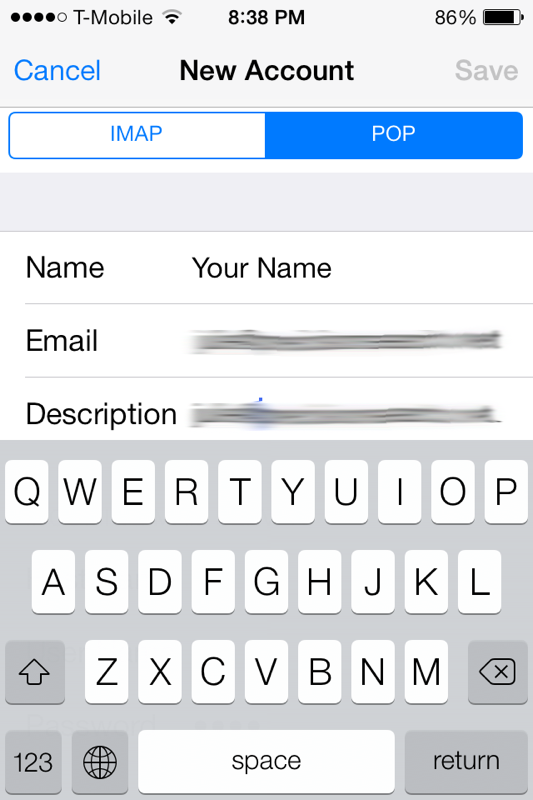 Address – This is your full email address for the POP3 account. Password – This is your email password. 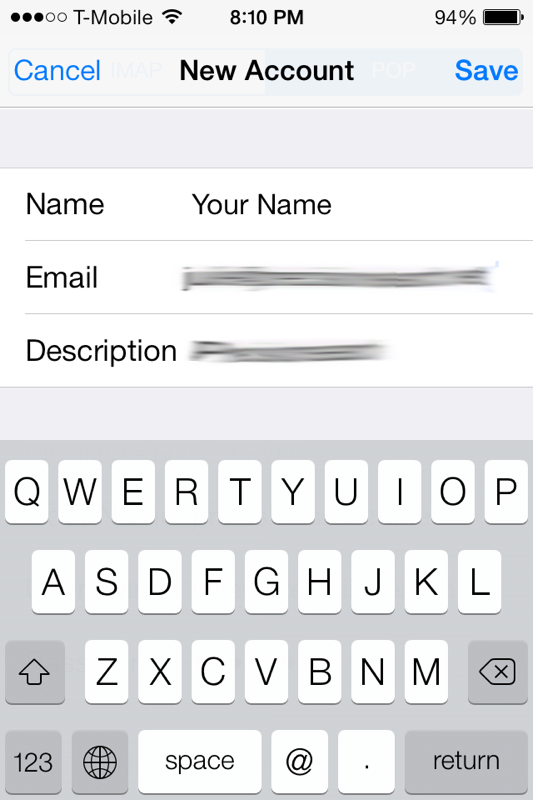 Description – This is just to identify the account in your settings later – call it anything you like. Tap POP at the top of the screen. 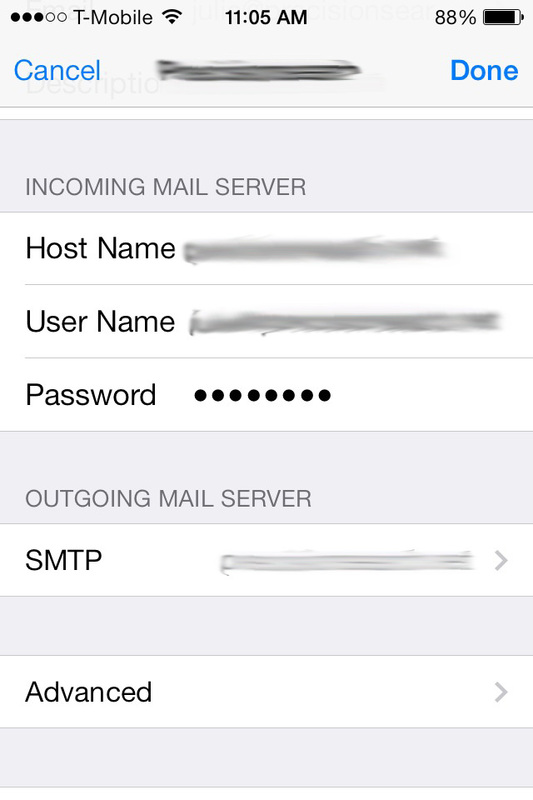 User Name – This is your full email address. 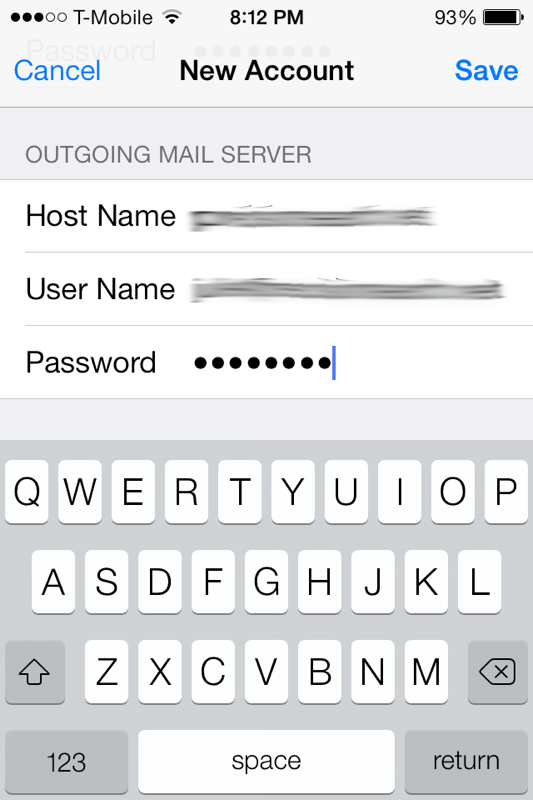 Password – This should already be filled in for you, but if not, then enter your mailbox password again here. Tap the Save button at the top to verify your settings. 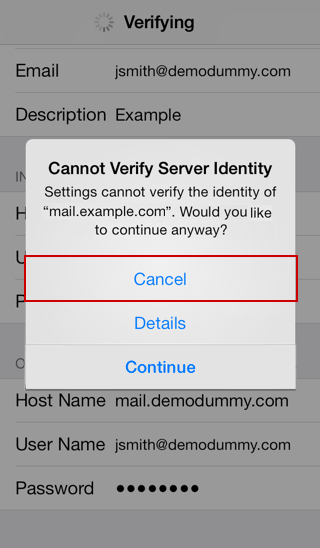 You might receive a Cannot Verify Server Identity warning. This is because the SSL certificate that is protecting your mail server is probably assigned to the main server name, and not your individual domain. If you contact your hosting provider, they should be able to tell you the right server names to use, to avoid this error. You have two choices here. 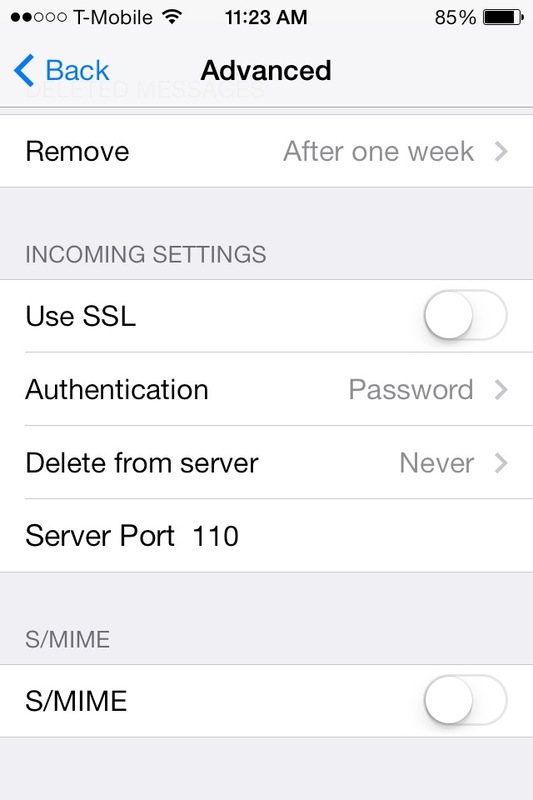 Continue, or Cancel to switch to using a NON SSL connection. 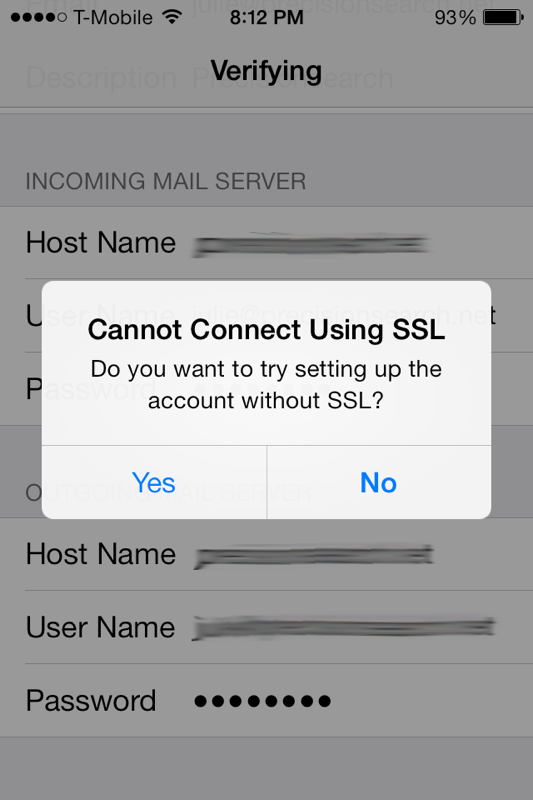 The iPhone automatically wants to connect to your email server using SSL. This is not necessary. Tap on Yes. 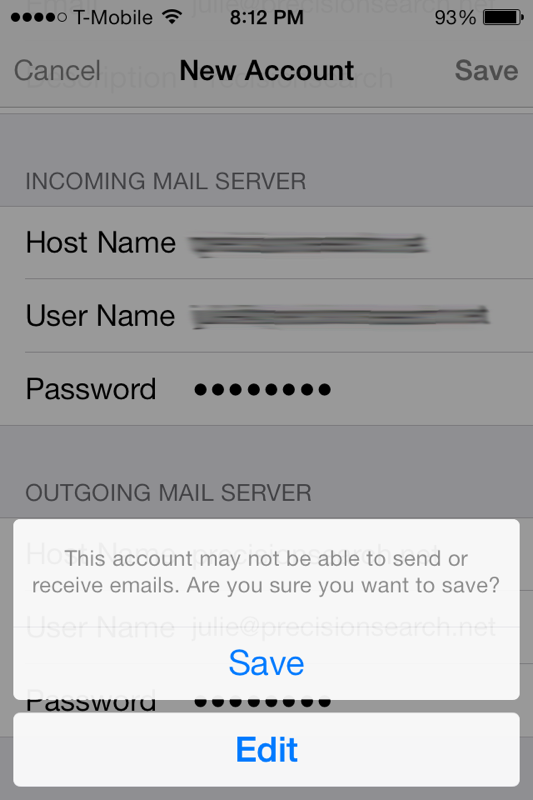 You will probably get a warning that your account can’t send or receive email. Just tap on Save. You should only need to change the Server Port. You can also configure the Host Name, User Name, Password, Use SSL and Authentication method on this screen, but those settings should be fine.. 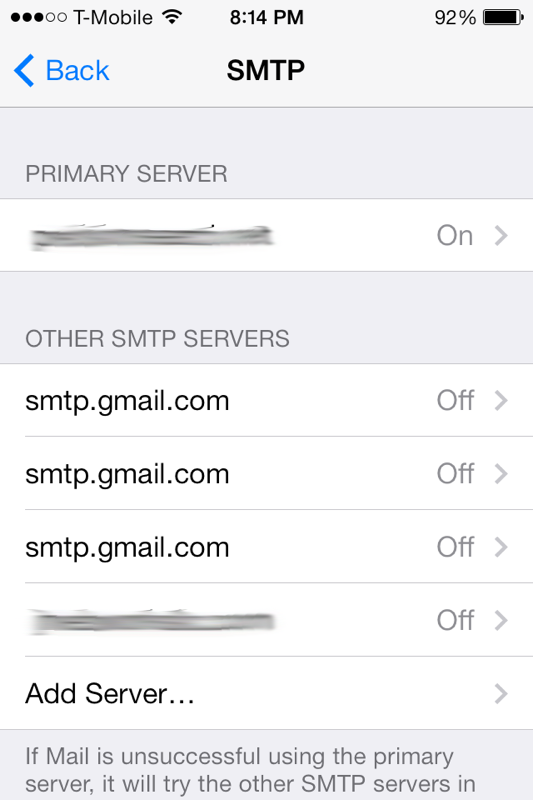 Many large ISPs block you from using SMTP servers outside of their network. You may run up against this problem if your iPhone connects to a WiFi network and your home broadband is with one of the big providers. 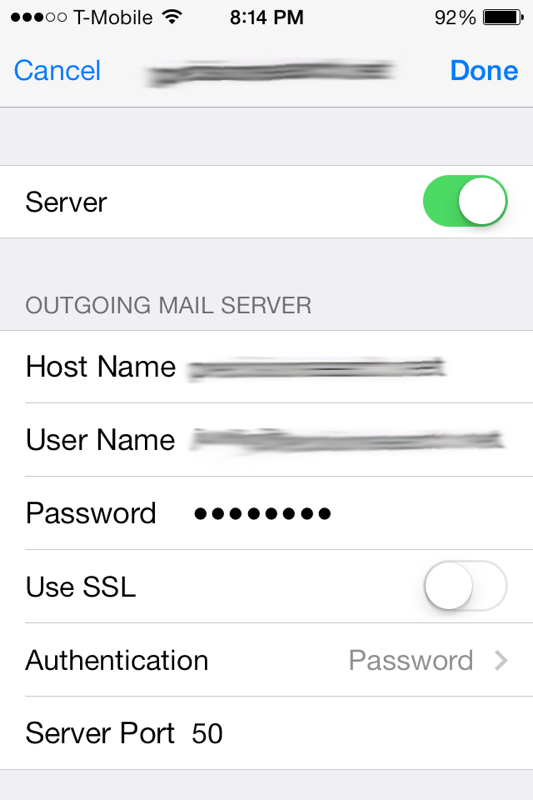 This is usually circumvented by connecting to your mail server using a different Port other than 25 (the default). We use Port 50 as well as 25, so just change your Server Port to 50 and you you should get round the problem. Tap Done at the top of the screen after you change the Server Port to 50. Here you can also choose if you want SSL, the type of authentication, and when messages should be deleted from the server, if ever. These settings should be fine. Tap on Back at the top of the screen. Open your mail program and send a test to yourself. Check to see if you receive it. If you get any errors or have any problems, check all the settings again. Make sure there are no typos, etc. Do a Send/Receive test again. If you still have errors or problems, please call or email us.